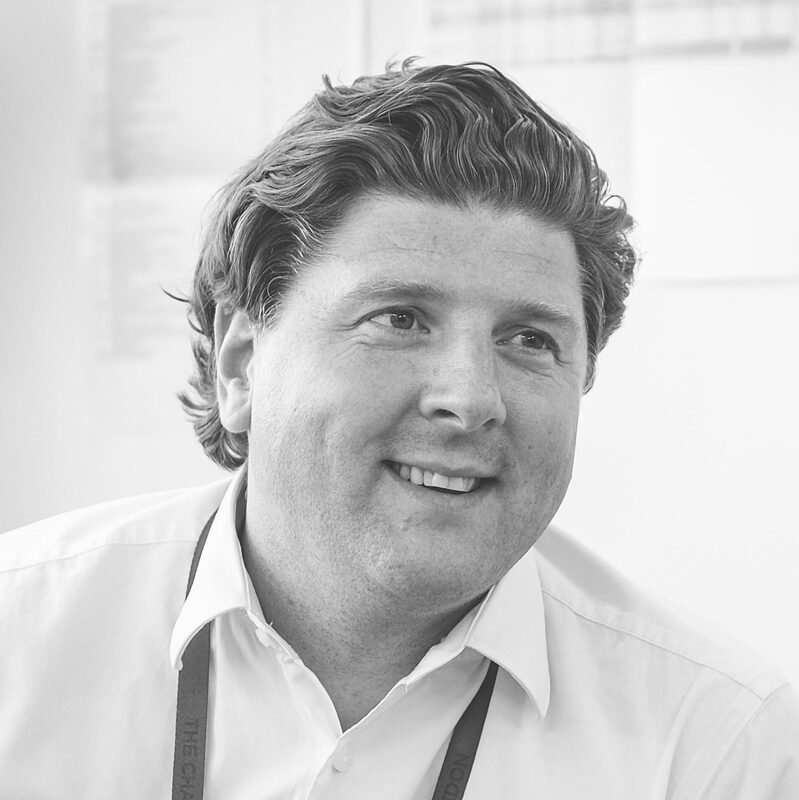 The Championships, Wimbledon, assemble the world’s most discerning hospitality guests, and Keith Prowse head of events & development Nick Gratwick (pictured below) previews what it’s serving up for clients this year. What’s new in Keith Prowse’s Wimbledon offering, and what inspired the changes? Wow, where to start? We have introduced a brand-new exclusive facility within the grounds, accessed via the southern apex of the AELTC, The Rosewater Pavilion. On arrival, guests will be checked in by e-ticket and come through a dedicated double gate into a spacious, private garden area where they will be met by our handpicked team and ushered through reception. 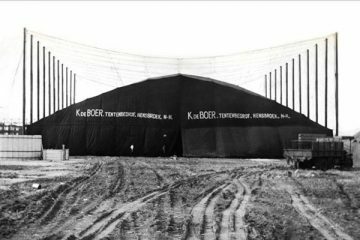 The façade of this two-story Losberger De Boer structure will be clad to represent a permanent building within the grounds. The front of the structure will be completely open, visually framing Centre Court which is just a short walk away. The bespoke sweeping staircase will allow guests to see through the back bar and into the lounge space where musicians will be setting the mood for the day. On court, guests will take comfort packs so that they are not wanting for anything. 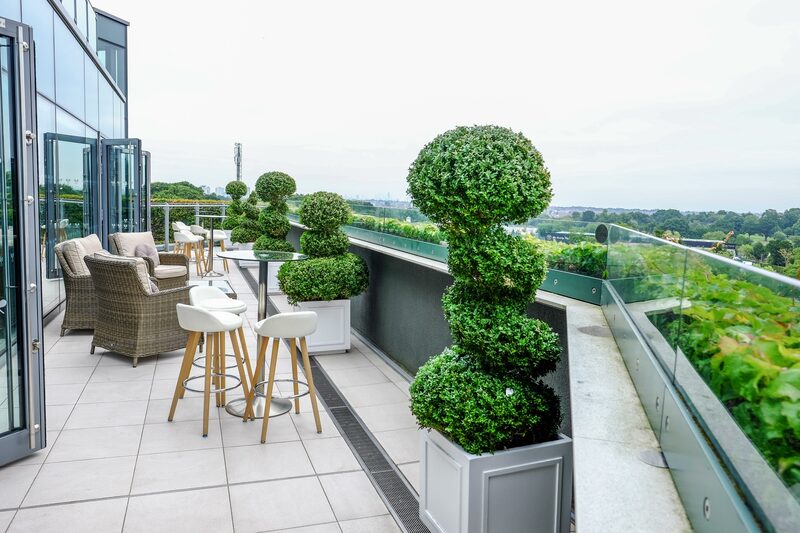 Across the way, we have re-styled the much-loved and award-winning Gatsby Club. The newly renamed space, The Lawn will still retain some of our guests’ favourite features such as the Roux fruits de mer station, concierge service and the whisky and cigar bar to name a few. 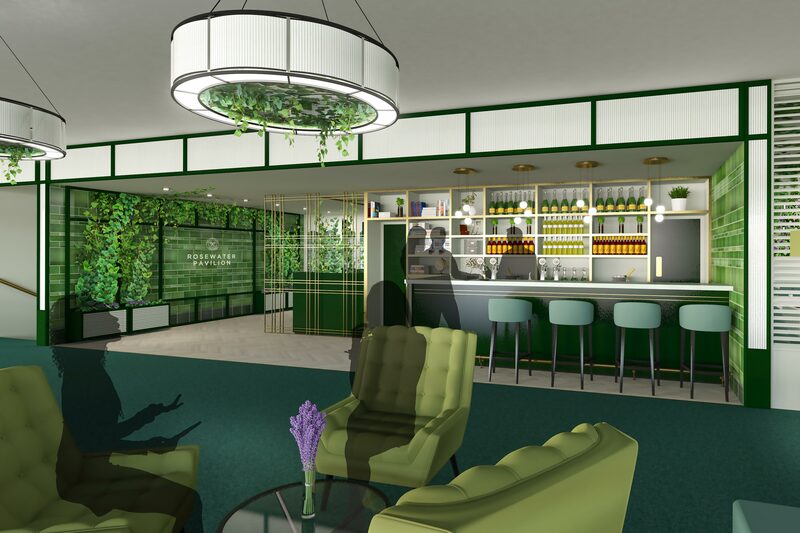 Changes have been made to the overall space of the facility with new styling, a glass fronted mezzanine level spanning the width of the structure, our inside outside cocktail bar, the evolution of the garden foot stream, and a centralised reception area. This was all designed with a focus on retaining the heartbeat of the space, immaculate service and quiet sophistication with a playful twist. As ever with design and product development, inspiration is drawn from many sources and design goes on an ever-evolving iterative process. 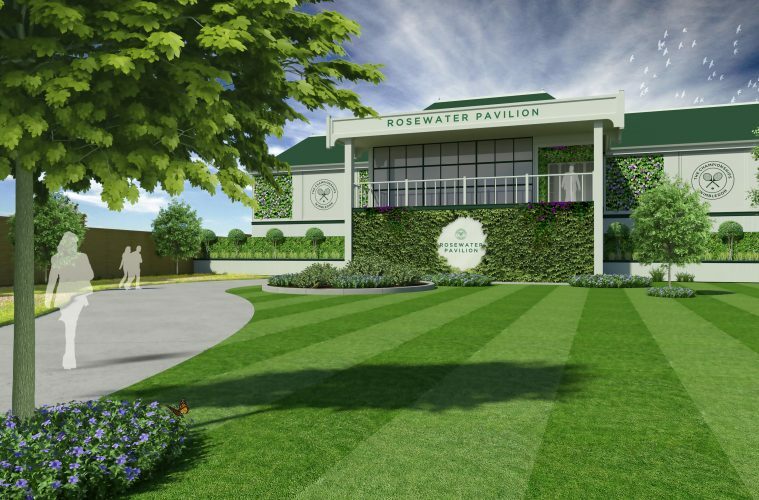 Our starting point was to frame The Rosewater Pavilion on the AELTC mantra of ‘Tennis in an English Garden’. This automatically gives us a colour palate to work from, inspiring light, muted tones and scents. The food offering is crucial and our early decision to only use products from around the British Isles has excited the culinary team to create some outstanding, contemporary dishes. We are able to champion the incredible products we have on our doorstep. 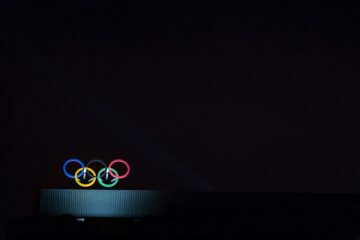 Next came the logistical conundrums – how do we build a structure that offers the best use of light, good sight lines and easy access? The customer is at the heart of every decision we make, with our in-house experience experts metaphorically walking through the entire journey identifying each and every customer touchpoint. By completely understanding this journey, any potential holes are identified and changed. This is how we came up with the ideas to include a court pack and offer a concierge service. Who led the build project and what were the build challenges? As you can imagine, there are several build challenges with a project such as this. If we concentrate on The Rosewater Pavilion, we are working off a main road, next to residential properties, operating with a short six-week build time and on existing tennis courts. 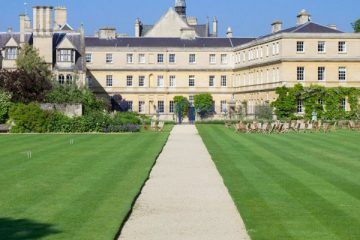 Historically, Gate 10 hasn’t been used and we were keen to open this up – we are offering guests a true VIP experience as they pass through the beautiful gates and glimpse a view into the grounds. Using this meant that we changed the orientation of the structure. Due to differing ground levels, the structure is linked by a clad staircase that spans the levels but feels seamlessly connected to the main structure. To assist the culinary teams, new services have permanently been installed such as gas and power. Working alongside the Estates Team at AELTC has been fantastic. Their technical and detailed knowledge of the site and willingness to embrace the new facility has been second to none. 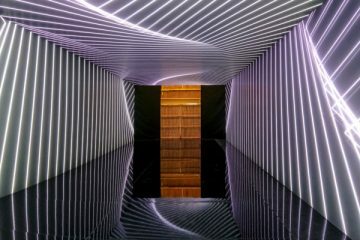 A project such as this simply wouldn’t be achievable without their input and our trusted design partner, Detail. What sort of menus are we going to see? The menu tasting was exceptionally successful with some outstanding dishes inspired exclusively with British ingredients. The a la carte menu will be offering such dishes as; Poached Native Lobster, broad bean and pea fricassee with cucumber and apple, Wye Valley Asparagus, Smoked Jersey potatoes, fresh peas and Confit Burford brown egg yolk, Oak church farm Cherries, Toasted Almond sponge, Almond ice cream. They sing of summer, are fresh and presented beautifully. These will be accompanied by wines paired to each dish as well as inspired cocktails and perrys. How have you stepped up the hospitality offering? 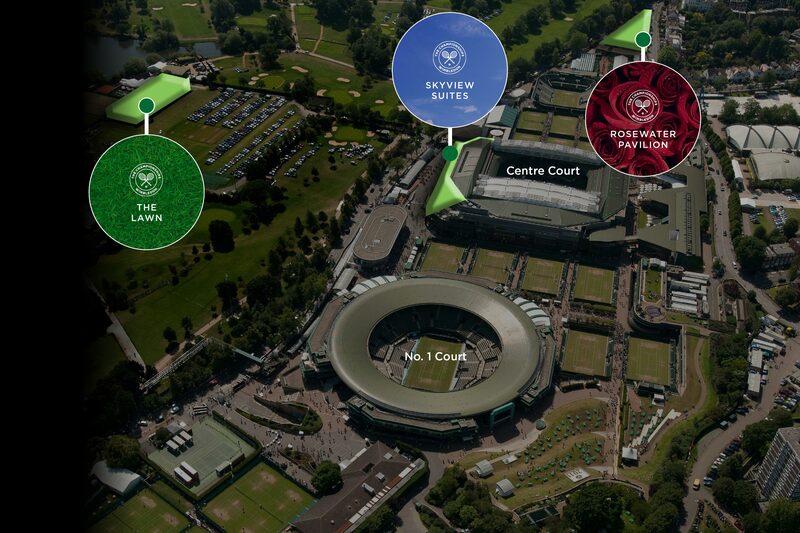 We have been very clear in differentiating the three hospitality levels within Wimbledon. Superior and concierge service comes as standard, but by differentiating style, space, mood, proximity to seat, seat location and privacy they all differ. These levels allow the customer to define the experience that best suits their entertaining requirements and choose hospitality with confidence. 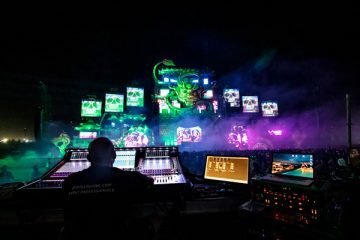 Our 30+ year heritage at this event, our multi award-winning experiences and our innate desire to innovate makes for the perfect mix to pre-empt customer needs and exceed expectations. We are really excited to welcome our guests to The Championships, Wimbledon this year.